We’ve all heard the great expression, “it’s all about who you know” more times than we can remember. But more often than not it plays very true in our daily lives. The right recommendation from someone could get you your next gig, into the hot new club, and maybe even tickets to the big summer concert. 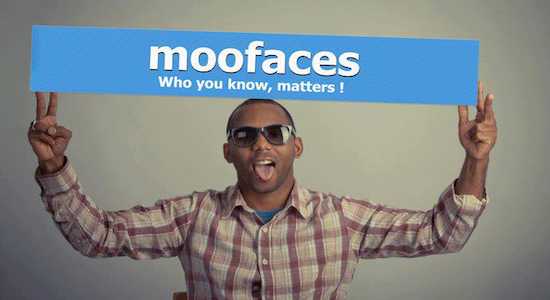 Moofaces is out to help those opportunities thrive when it comes to the jobs market. Recently launched Moofaces is a new spin on old social networks, in which it helps creative people connect based on their professions and interests. No, it’s not another LinkedIn or something similar. These guys are doing it differently. they’re bringing the conversation back into social networks with a professional twist. When you think LinkedIn, you think resumes, professional, virtual business cards. 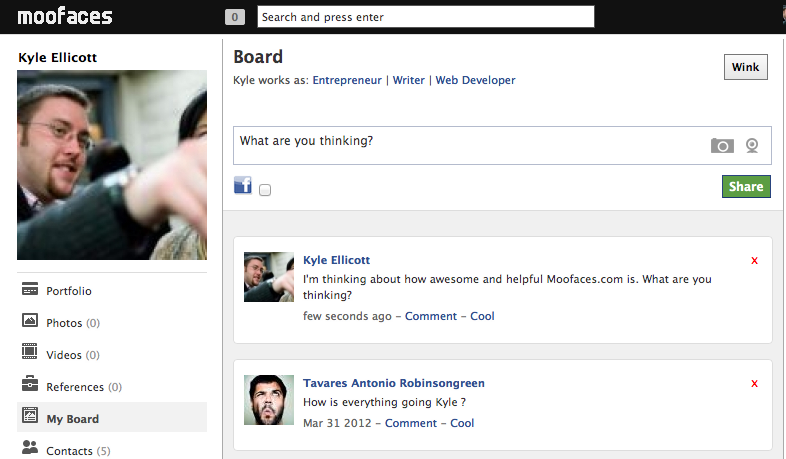 With Moofaces you’re building upon a conversation with a social community. This experience starts the moment you create a profile. Upon login instead of uploading your resume or a profile picture, you’re asked your three profession types. They can be anything. Dancer, Fashion Designer, Production Assistant…anything. Again it’s not like LinkedIn where you list the full description and details, but instead the quick keyword words that summarize what you do. As you can see on my profile I picked, entrepreneur, writer, and web developer – all of which describe me and what I do. These are usually what I would tell someone if they asked me what I did. Or I would reply back with, “depends on the day.” Once my profile was setup, I was recommended connections based on my profession type and interests (you can link up your Facebook profile). Dont’ worry about others trying to pose as you, the team has just launched their verified account system incase you need it. Moofaces takes it another step further and even sends emails each week on over 3 million jobs opportunities of interest based off my profile information. Aside from just connecting people Moofaces has a mission of bringing everything back to one platform. Whether you’re of the creative mindset and are enrolled in the educational environment, someone aspiring to be in a certain profession, or those who are currently professionals. No matter the stage you’re in Moofaces is the place to connect and start the conversation with someone. Even celebrities and businesses are joining on board. Giving new opportunity to connect with creative minds. 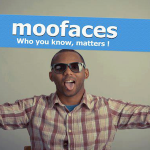 If your a creative or someone just looking to connect with more creative minds, Moofaces is for you. Best part is…it’s free. Go ahead, start a conversation and get to know someone.